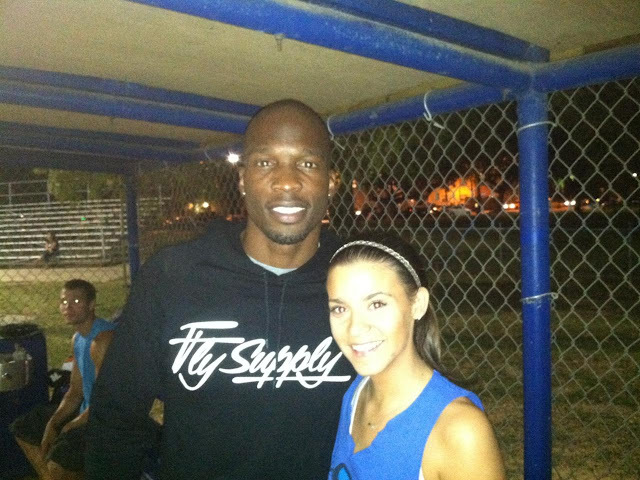 One of my softball teammates invited Chad Johnson to come and play on our team over Twitter, and lo and behold, he showed. You gotta love the love he shows his fans. This one is last night's MVP, Jaime, who won the game with a walk-off triple.